no idea why people think this is ok, but I’ve run into it a few times lately, I just don’t get it. why pee there? One suspects alcohol may be a factor. Still, Mpls doesn’t exactly have open for the public apartment buildings, so you’d always have your/whomever-you’re -visiting’s bathroom available. 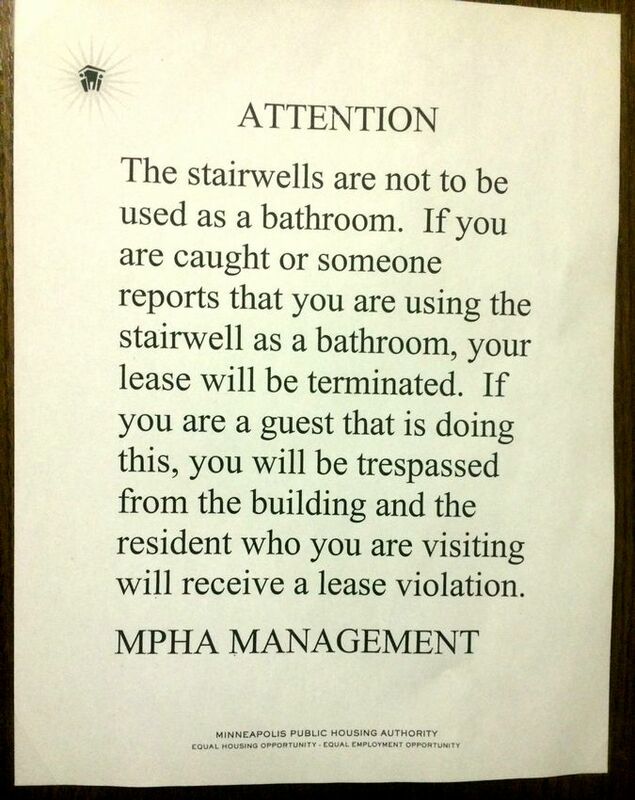 “TRESPASSED” DOES NOT WORK THAT WAY! that’s exactly how it works. what else would you propose?